Lauren Lovette was born in Thousand Oaks, California and began studying ballet at the age of 11 at the Cary Ballet Conservatory in Cary, North Carolina. She attended summer courses at the School of American Ballet, the official school of New York City Ballet, during the summers of 2004 and 2005 and enrolled at SAB as a full time student in 2006. In October 2009, Ms. Lovette became an apprentice with NYCB and joined the Company as a member of the corps de ballet in September 2010. 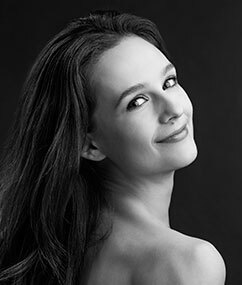 She was promoted to soloist in February 2013 and to principal dancer in June 2015.